The best people… Our staff is clearly the foundation of our practice. They provide the warmth, excellence, and special touches, required to maintain the excellence considered the standard of our practice. They are here to provide the level of care, customer service, and communications our families deserve . The best facilities… Our incredible facility is well positioned in Central Ohio on the Northeast side convenient to all communities and suburbs via 270, 70, 71, and 161 expressway. We have been fortunate to provide care to families in all of central Ohio and attract many families from around the state. The mission, philosophy, and foundation of our practice is to provide an overall outstanding orthodontic treatment experience to our patients and their families. Our practice has been built upon – and is committed to – providing the finest quality orthodontic care in a friendly, enjoyable, and caring environment for both children and adults. Our mission is enhanced by our continued involvement in studying current orthodontic research, attending a wide range of continuing education seminars, and our true desire to treat our patients to the highest level of care possible. This mission is supported on a foundation of clinical experience, excellent communication, and patient/customer service. In addition, we will work very closely with your family dentist and other dental specialists as needed to assure our patients that they are always offered care in a team environment ultimately resulting in a winning result. 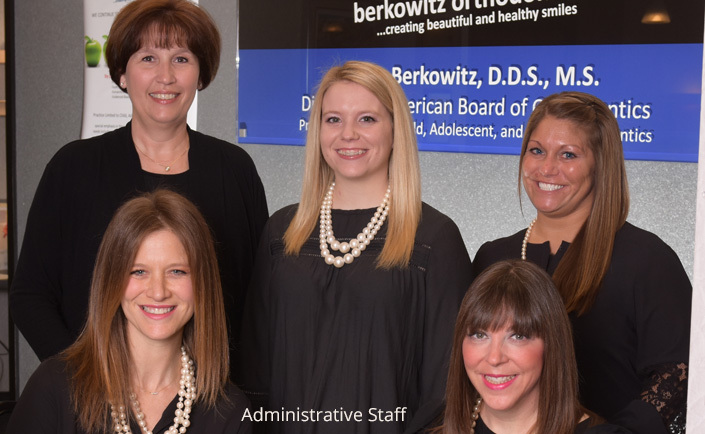 Thank you for choosing Berkowitz Orthodontics! We look forward to welcoming you to our orthodontic family.